Our Selection of Stonewall Kitchen, creators of specialty foods, is exceptional and Maine made!! We pride ourselves in offering a generous assortment of jams, sauces, salsa, pancake mixes, and many more items that are sure to be a favorite in any kitchen. We are excited to offer two of Stonewall’s newer products: Pineapple Ginger Sauce and Mixed Berry Jam. Park Designs features complete Collections with coordinating textiles, ceramics and giftware that provide great cross promotion opportunities and “one stop shop” ease. 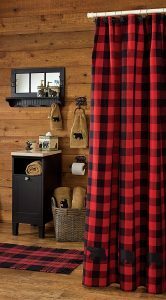 They cover lifestyle looks from Country to Classic Traditional and from Everyday to Holiday. 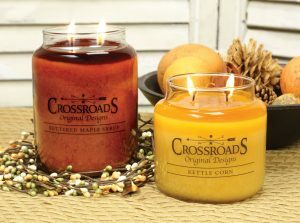 Crossroads Original Designs is a family-owned and -operated manufacturer of scented candles, reed diffusers, room sprays, framed art, and home décor accessories prides itself on offering distinctive products and excellent customer service. 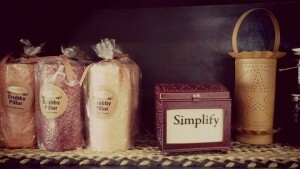 We carry a variety of popular product lines including a beautiful selection of Park Designs and Primitives by Kathy. Special orders are available for any of the collections that they offer. Willow Tree is a line of hand-carved sculptures by Susan Lordi that speak in quiet ways to heal, comfort, protect, and inspire. Expression is revealed through gesture only. Simplicity of form and the abscense of facial features signify Willow Tree. We are excited to offer this unique and inspirational line. Looking for the perfect gift for a chocolate lover? 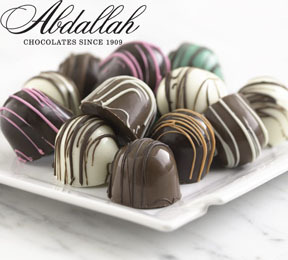 These Whipping Cream Truffles are rich and decadent, representing some of the highest quality ingredients that Abdallah has to offer and they are GLUTEN FREE! Looking for a Fun Family Activity? This extra-large stamp set from Melissa&Doug makes it easy to create an exciting storyline or a color-in scene. Monkeys, snakes, birds and bugs galore combine to create a jungle straight out of your family’s imagination! 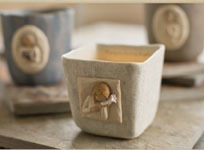 Willow Tree® is an intimate line of figurative sculptures that speak in quiet ways to heal, comfort, protect and inspire. Artist Susan Lordi hand carves the original of each figure from her studio in Kansas City Missouri. Expression is revealed through gestures only… a tilt of the head, placement of the hands, a turn of the body. We also carry a beautiful assortment of garden flags, house flags, and mailbox covers. 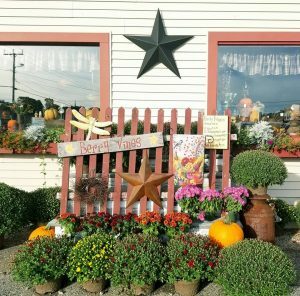 Some of our personal favorites include the tranquel beachside scenes, treasured lighthouses, “country home” themed flags, and our Holiday selection.